He created the Heavens and the earth through the real. He causes the night-time to encircle (v. yukawwiru) the daytime, and the daytime to encircle the night-time. He has subjected the sun and the moon: each one follows a (designated) course for a time appointed. Is He not the All-Mighty, the All-Forgiving? The Arabic word yugshi in this verse not only means 'to cover' but also 'to embrace' [Ayyam Al-Sha’n: 7], and it is particularly used for marriage. Thus Ibn al-Arabi suggests that it is as if the daytime and the night are seeking each other because they want to 'marry' each other, to produce children - since we and everything else in the world are all the 'progeny' of the daytimes and nights [Ayyam Al-Sha’n: 7]. This 'abstract marriage', is a basic concept in Ibn al-Arabi's cosmological teachings, and we shall come back to it shortly. We conclude that in every normal day (i.e. circulated day) as we observe it in one specific place on the earth, a vast number of 'Days of events' happen, as many as there are indivisible moments in this day. In other words, in every moment that we encounter on the earth, there is a Day of event happening that encompasses the whole world or cosmos (all of creation). Yet each Day of event is also composed of the seven distinctive Days of creation, the divine creative 'Week' described in detail in the previous chapter. For the Arabs, whom Ibn al-Arabi follows on this point, the nighttime of a particular day is that which precedes the daytime of that day, and not the night that follows that daytime. 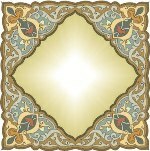 See Ayyam Al-Sha’n: 4. See also section II.14. In Appendix A in their study of Ibn al-Arabi's book: Ayyam Al-Sha’n, 'The Seven Days of the Heart' (p. 149), Pablo Beneito and Steven Hirtenstein translated ayyam al-takwir' as 'the cyclical days' and translated the Qur’anic verb yukawwiru as '(He) wraps'. However, I prefer to use the term 'circulate' to emphasize the meaning that the daytimes and the night-times go around each other in a circle, and that they both (together) encircle the earth. This type of days (the circulated days) is also the normal, observable type of days that are 'circulated' amongst us, to differentiate them from the other two types that we shall see below. This Page has been viewed 136 times, and the number of All-Pages-Views is 107170 times, since 1/3/2019.